Not sure what to buy? 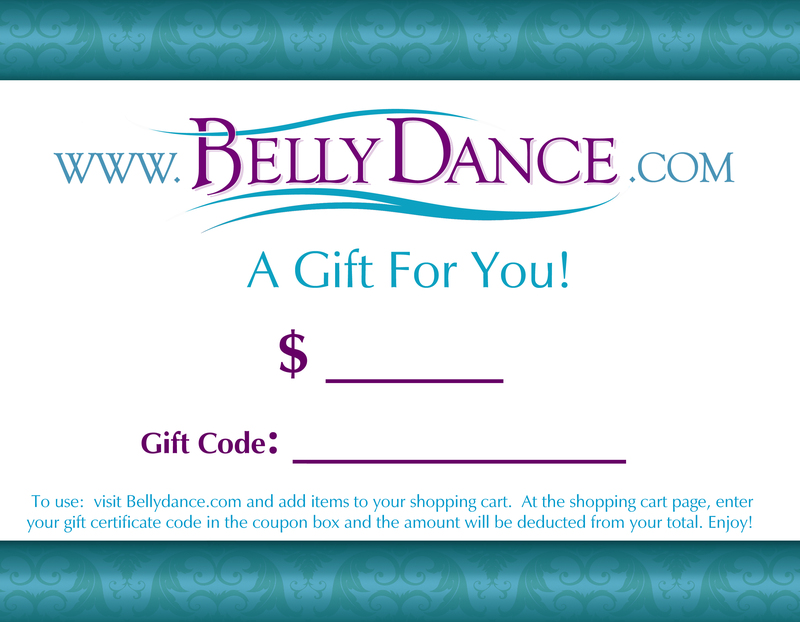 You'll know your favorite dancer will get exactly what they want when you send a Gift Certificate from BellyDance.com! When you purchase a gift certificate you will receive a confirmation email and also an email with the Gift Certificate Code. You can then forward this email to the person that will be redeeming the certificate, or print it and give them a print-out. To redeem the certificate, simply enter the code into the "Apply Coupon" box at checkout. If you want a paper certificate to give, you can CLICK HERE for a graphic that you can print and fill in with the gift code and amount. Note: You cannot use a coupon or sale to purchase this gift certificate.